Explore ancient Egypt and the Khan El Khalili Bazaar on an affordable, all-day layover tour. 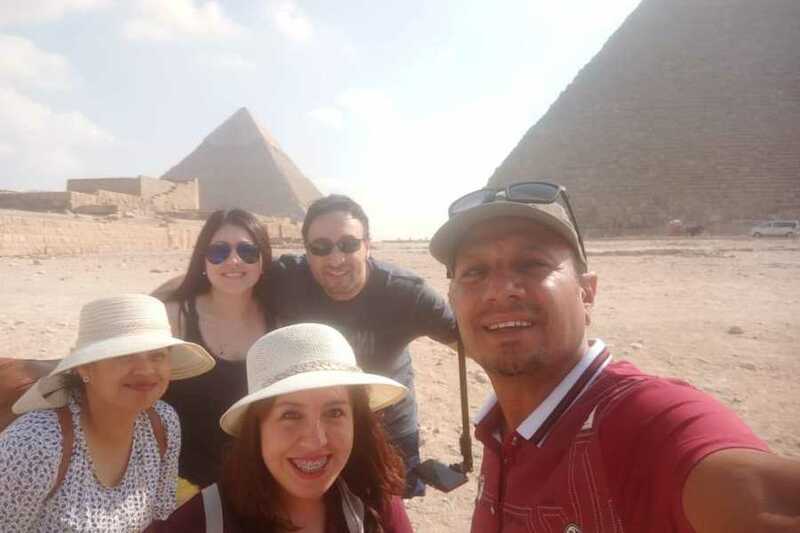 After airport pickup, travel by air-conditioned vehicle with an expert guide to the Great Pyramids of Giza, the Sphinx, the Dashur and Sakkara pyramids, and Memphis City. Enjoy a delicious lunch (included in the tour price) and shop for leather, brassware, and other fine products at the largest souk in Old Cairo. 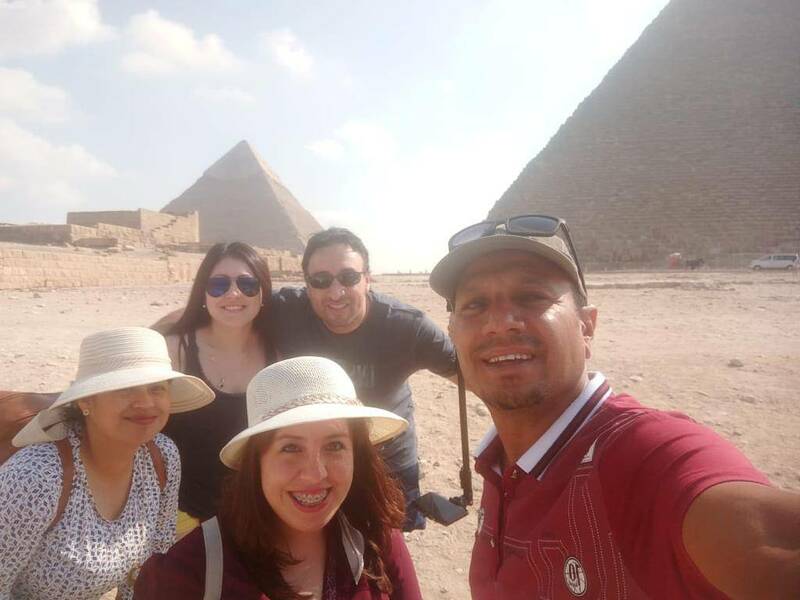 Then Continue your Cairo Layover Tours to Visit Sakkara area where the first trial to build a pyramid shape tomb which coming by king Djosser the 1st user of limestone at this area it also known as Sakkara Pyramid or Step Pyramid ,you will also have a look at the specious court specialized for Heb-Sed celebrations for the king, this area also including the cemetery of the nobles and official officers which very rich with pharonic decoration, drawings and paintings. End your Cairo Layover Tours by a Visit to Old Bazaar of Khan Khalili where it`s a market place for the foreigners coming from many different places to sell their own products on it during Islamic empires time here in Egypt, but right now it become a touristic place which has a lot of shops selling the Egyptian souvenirs and also has a lot of coffee shops where you can take a rest on it after that lovely tour which serving Shisha. Also this area has the most unique mosques as El Azhar mosque and El Hussen mosque.